The good idea of designer? Daring the delicate marriage between transparency a strong foundation in acrylic and fullness of wooden legs. This sacred union was born a chair unique design furiously "fifties", but still trend. Ideal for: kitchen, living room, office. Features: different feet (beech veneer, chrome rocker and "Eiffel" style). 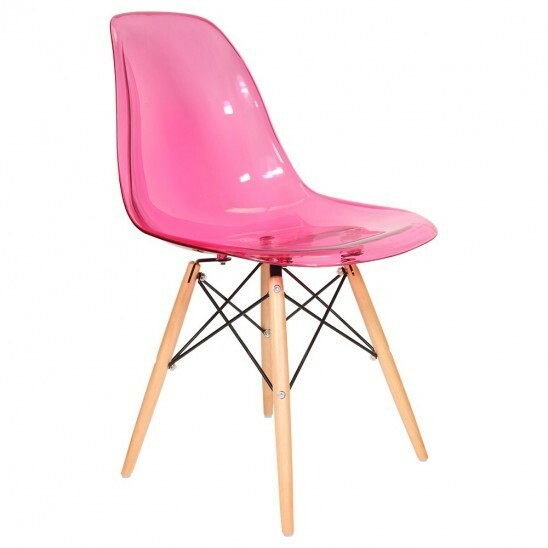 J'ai reçu hier cette joli chaise rose bonbon, belle qualité, et beaucoup de confort!